People with allergies know that the sniffling and the sneezing is “part of the deal” when it comes to having allergies. But, what many people with symptoms like sinus and migraine headaches, fatigue, depression, skin and digestive issues don’t know is that they might have allergies too! And, the allergic reaction may actually be the root cause of their condition, which is why treatment methods in the past have failed to produce great results. Although not everyone agrees that conditions like Chronic Fatigue, IBS, and migraine headaches have any connection to allergies, it is true in many cases. New research is pointing to the idea that allergic reactions or chemical hypersensitivities may be at the root of these and other common conditions. So, if allergies are in fact part of the cause of CFS, then wouldn’t it make sense to make it part of the cure as well? Should you run out to the pharmacy and stock up on allergy medication to cure your fatigue problem? No! Instead, someone with CFS and similar fatigue issues would be wise to consult with a BioVeda Health and Wellness practitioner. These health experts are widely versed and well trained in the detection of “hidden” allergies and always take a more holistic, more cause focused approach to eliminating the symptoms and strengthening the body. Scientists are now discovering that mood and behavior is closely linked to the presence of allergies, even the difficult to detect “hidden” allergies. Again, chemical hypersensitivities cause stress on the main frame computer in the body, the nervous system. When this system is stressed out and under performing any number of symptoms can arise. And worse yet, many doctors do not give credit to this cause and effect relationship, which therefore leads to misdiagnosis and overuse of prescription and over the counter medications to manage the “in-curable” symptoms. Many doctors are behind the times. There is a good deal of evidence pointing to direct biochemical processes connecting hypersensitivities, aka allergies with mood and behavior problems like depression, ADD, ADHD, etc. Even recently posted articles are saying that the only thing to do is treat the depression with antidepressants and the allergies with shots or antihistamines. Nothing could be further from the truth! Again, someone with mood and behavior issues would be wise to consult with a BioVeda Health and Wellness practitioner. 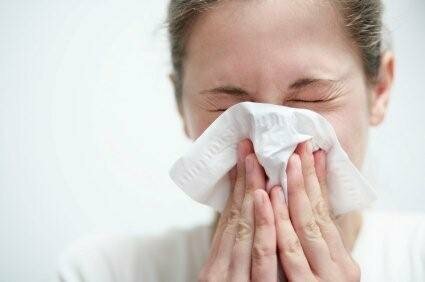 These health experts will first look for any “hidden” allergies before suggesting medications. And, they always take a more holistic, more cause focused approach. There is definitely a connection between sinus and migraine headaches according to Dennis Gersten, MD, who practices psychiatry and nutritional medicine in Solana Beach, CA, and is the author of “Are You Getting Enlightened or Losing Your Mind?” Unlike tension headaches, which are usually due to other non-allergy related forms of stress, sinus and migraine headaches often times have a chemical trigger, aka allergic response. When you breathe in an allergen it can trigger a reaction, says Harold Nelson, MD, senior staff physician at the National Jewish Medical and Research Center in Denver. Researchers believe that certain cells in the immune system can become hypersensitive and when triggered will cause the release of chemicals that cause swelling of blood vessels, which in turn can trigger the headache. The western medical approach is to suppress the immune system response or to medicate the symptom. On the other hand, a BioVeda Health and Wellness practitioner would focus on correcting the abnormal immune response at the root level. Instead of suppressing the body, they would focus on eliminating the weakness and ultimately strengthen the body. In the end, if the cause is never addressed the patient will never get better. And, we all know how that story ends. When the immune system and other parts of the central nervous system are overridden by chemical stressors in the environment they have a tendency to over react on a frequent basis. This over reaction is better known as a symptom. 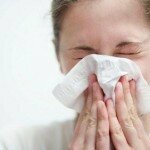 And, these symptoms are not limited to just runny noses, coughing or sneezing. It would appear that “hidden” allergy problems and conditions like CFS, Depression, Sinus and Migraine Headaches are more related than we think. In fact, some researchers say that even more symptoms are caused by “hidden” chemical sensitivities like IBS and digestive issues as well as various skin conditions. Like with most things in life there is a choice to be made. We can continue suppressing the body, medicating and neglecting the root cause of symptoms and condition or we can do something different. We can focus on the cause of the condition and proceed accordingly. This is way of thinking is certainly more natural and holistic. After all, how many people out there need to be misdiagnosed and mistreated before we realize that working with the body is always better than working against it? Instead of ignoring the problem, medicating the symptom, or practicing avoidance… spread the word… there is a way to detect these “hidden” allergies and chemical sensitivities. With a new understanding combined with new technology, patients can be more optimistic than ever before.